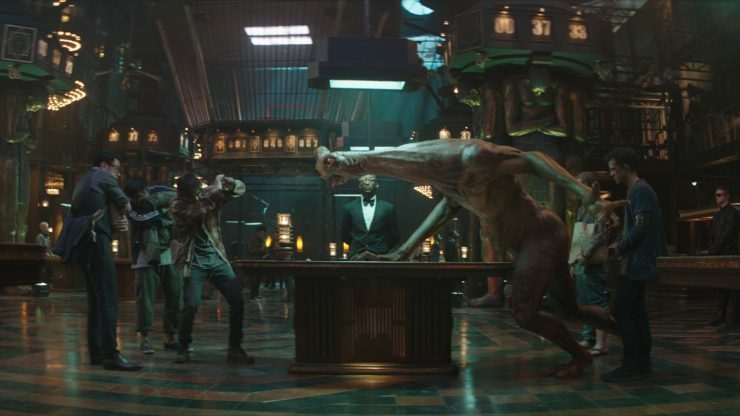 The RSP studio produces a host of creative and technically complex shots running the gamut from creature effects to fantasy environments for a new international Chinese blockbuster. 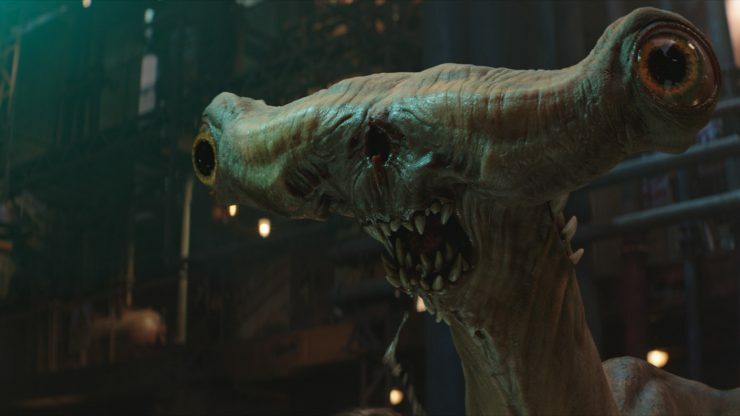 In a project spanning six months, Rising Sun Pictures produced 86 visual effects shots for Animal World, the new fantasy adventure film that debuted to considerable fanfare at this year’s Shanghai International Film Festival and is currently in international release. 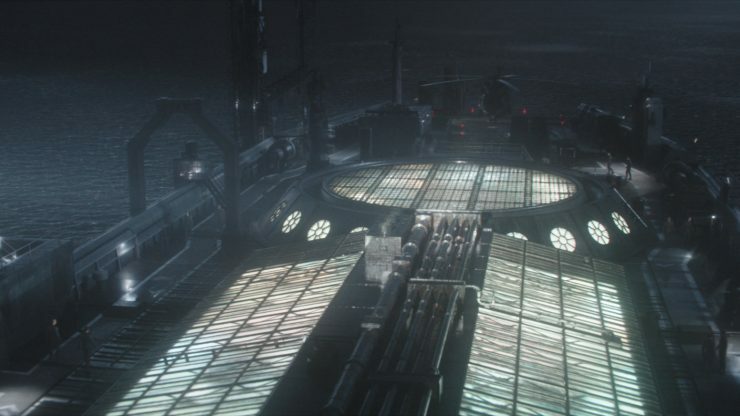 The work drew on the full gamut of the studio’s core strengths and included everything from a card-playing creature to a loopy dream sequence, a mind-blowing car chase and a moody hero shot of ‘Destiny,’ the hulking freighter-turned-floating-casino that serves as the film’s primary location. Produced by Shanghai Ruyi Film & TV Production Co., Ltd, Shanghai Huolongguo Film & TV Production Co., Ltd; distributed by Beijing Enlight Pictures and directed by Yan Han (Go Away, Mr. Tumor), Animal World is based on Nobuyuki Fukumoto’s manga Ultimate Survivor Kaiji. The film centres on a young man named Zheng Kaisi (Li Yi Feng) who becomes trapped on a gambling ship operated by a menacing impresario (Michael Douglas) and is forced to take part in a violent game whose stakes are continually ratcheting up. 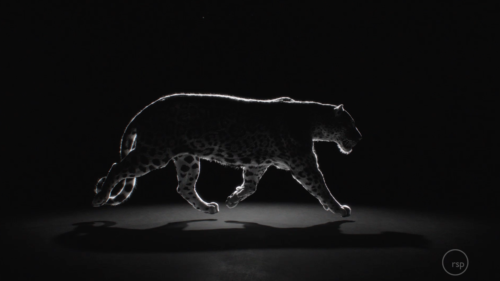 Animal World marked RSP’s first major project for a Chinese film production aimed at an international audience. 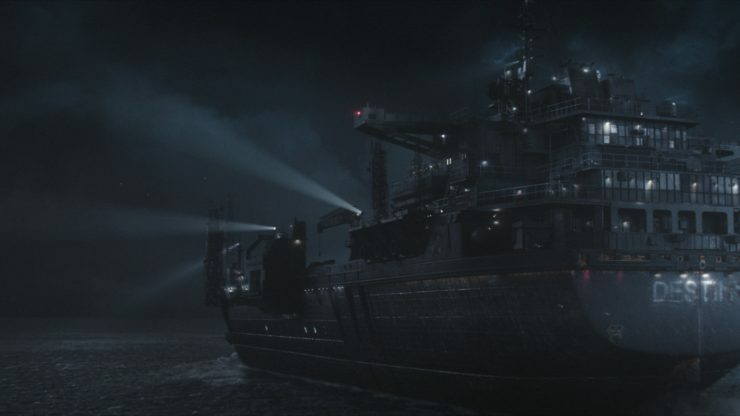 The studio worked under the supervision of Yan Han and production Visual Effects Supervisor John Dietz, whose company, BangBang Productions, has provided world-class visual effects support for several recent films made in China, including Jiang Wen’s Gone with The Bullets, Sun Zhou’s Impossible and John Woo’s The Crossing. “BangBang and I have a long history with Rising Sun Pictures and their work is second to none,” said Dietz. 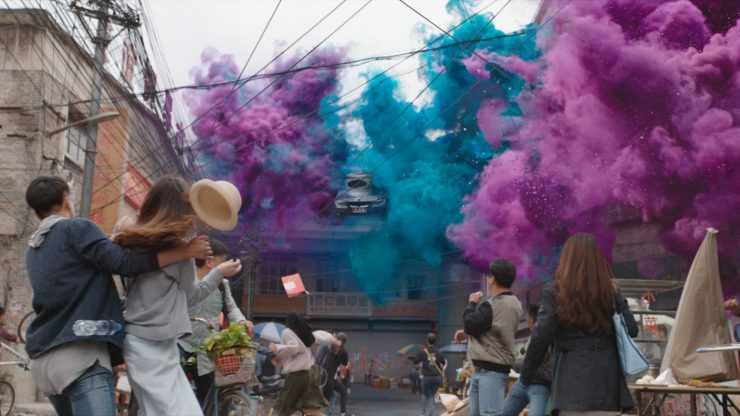 “Yan Han was particularly attracted to RSP’s incredible work on X-Men: Days of Future Past and wanted to bring that talent into key sequences in Animal World. RSP again delivered exceptional work. 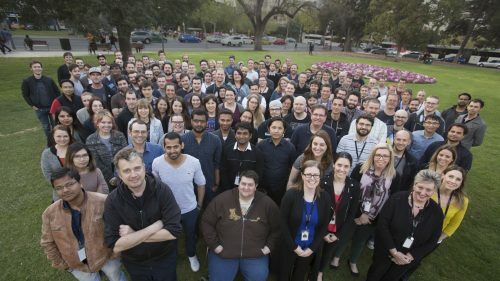 We are thrilled with the result.” Despite language differences and the geographic distance separating RSP and the production in China, the collaboration worked exceptionally well. “Filmmaking has become a global business,” says RSP Executive Producer Gill Howe. 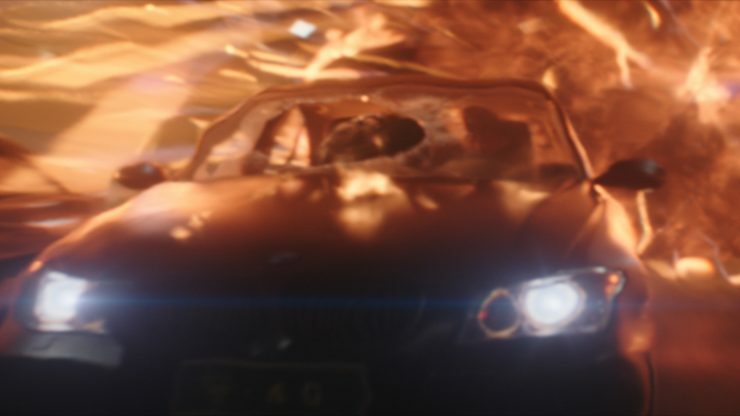 One of the film’s most exciting sequences is an elaborate car chase where Kaisi, driving a BMW coupe, is pursued by ninjas on motorcycles through a crowded city. RSP created a central part of the sequence where the pursuit enters a tunnel and things literally spin out of control. 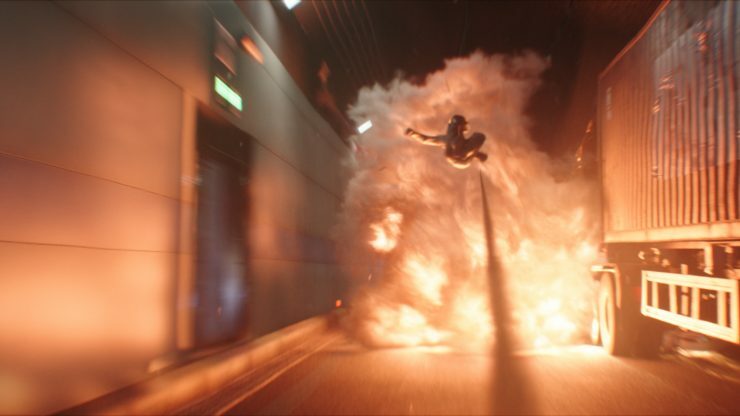 “There’s a lot happening in the tunnel…speeding cars, collisions, gunfire, explosions…and our job was to make it look as fast and dangerous as possible”, recalls RSP Visual Effects Supervisor Malte Sarnes. 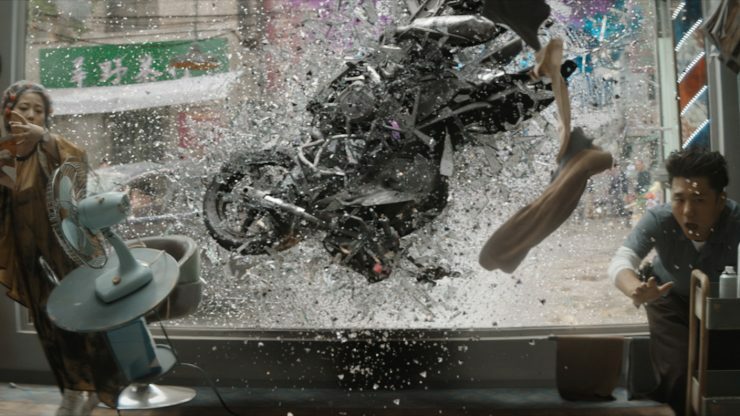 The studio’s 2D team assembled the scene into its final form, placing CG vehicles into the background environment and adding actors and stunt talent who had been shot separately on green screen (including a ninja who crashes through the windshield of the BMW). 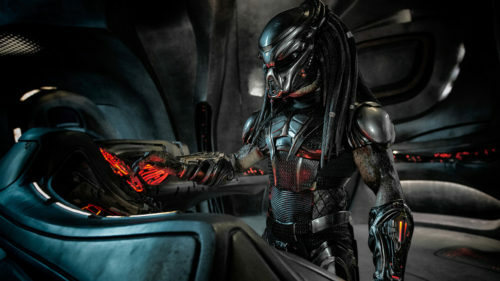 Each bit of action was choreographed to the millisecond. Pyrotechnics and other environmental flourishes supplied the finishing touch. “John Dietz told us to make it big, so wherever we could add a little something extra…sparks, smoke, explosions, we went for it”, notes 2D Lead Jess Burnheim. 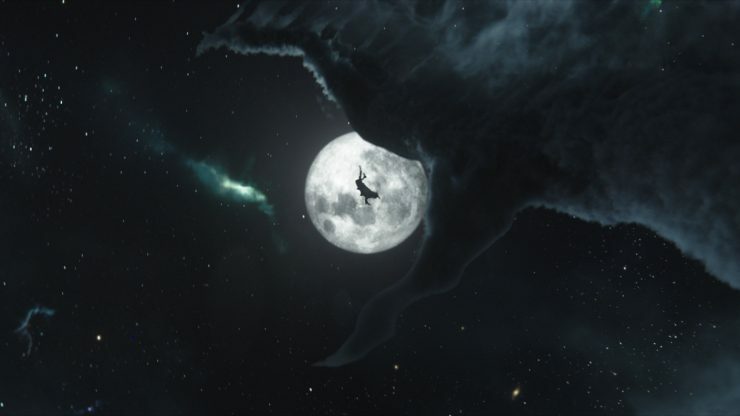 Many of the film’s visuals have a hallucinatory quality. 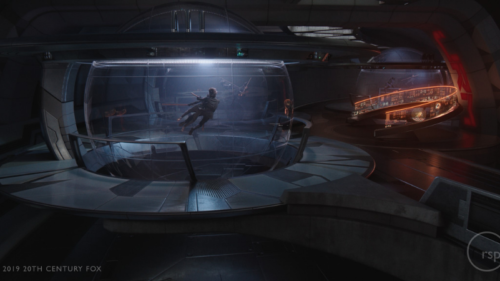 In RSP’s longest sequence (occupying more than 90 seconds of screen time), a dejected Kaisi wanders through a door of the casino and suddenly finds himself tumbling in space. 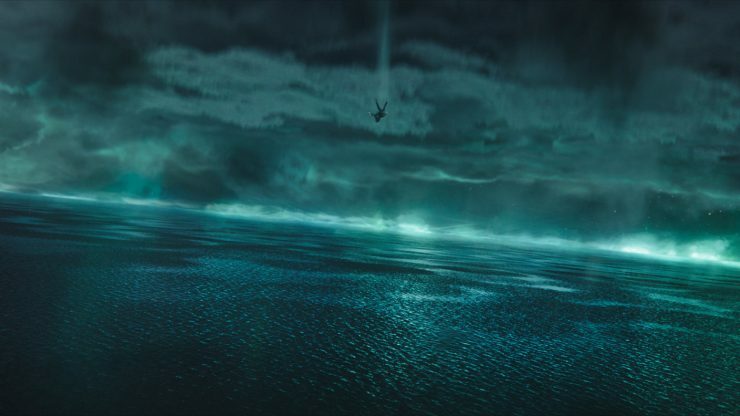 He falls through the clutches of a claw-like patch of clouds before landing in an ocean where he is attacked by giant sharks. He is only saved from the jaws of the fish when the ocean magically freezes over. Sarnes says the sequence ranks among RSP’s best character work. “When you see it on the big screen, you can appreciate the time and attention the artists invested in the characters,” Sarnes observes.